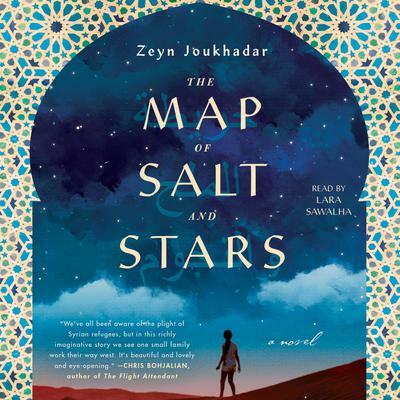 The Map of Salt and Stars - Audiobook | Listen Instantly! A deep immersion into the richly varied cultures of the Middle East and North Africa, The Map of Salt and Stars follows the journeys of Nour and Rawiya as they travel along identical paths across the region eight hundred years apart, braving the unknown beside their companions as they are pulled by the promise of reaching home at last. Download and start listening now! Lara Sawalha is an Actor, Model and Film & Stage Crew member based in London, United Kingdom. She graduated from Italia Conti Academy of Theatre Arts in 2006 with a BA in Acting and now works between Jordan and London doing theater, film, TV, radio, and audiobook narration.